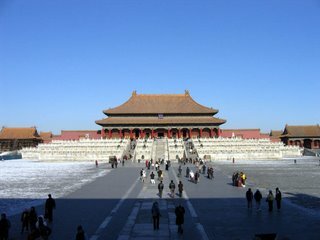 The Forbidden City is divided into two parts. The southern section, or the Outer Court was where the emperor exercised his supreme power over the nation. The northern section, or the Inner Court was where he lived with his royal family. Until 1924 when the last emperor of China was driven from the Inner Court, fourteen emperors of the Ming dynasty and ten emperors of the Qing dynasty had reigned here. Having been the imperial palace for some five centuries, it houses numerous rare treasures and curiosities. Listed by UNESCO as a World Cultural Heritage Site in 1987, the Palace Museum is now one of the most popular tourist attractions world-wide. It is recognized as one of the most important five palaces in the world (the other four are the Palace of Versailles in France, Buckingham Palace in the UK, the White House in the US and the Kremlin in Russia). The splendid architecture of the Forbidden City represents the essence and culmination of traditional Chinese architectural accomplishment. In 1961 the Forbidden City was listed as one of the important historical monuments under the special preservation by the Chinese central government and, in 1987, it was nominated as World Cultural Heritage by UNESCO. The Palace Museum is a real treasure house of Chinese cultural and historical relics. 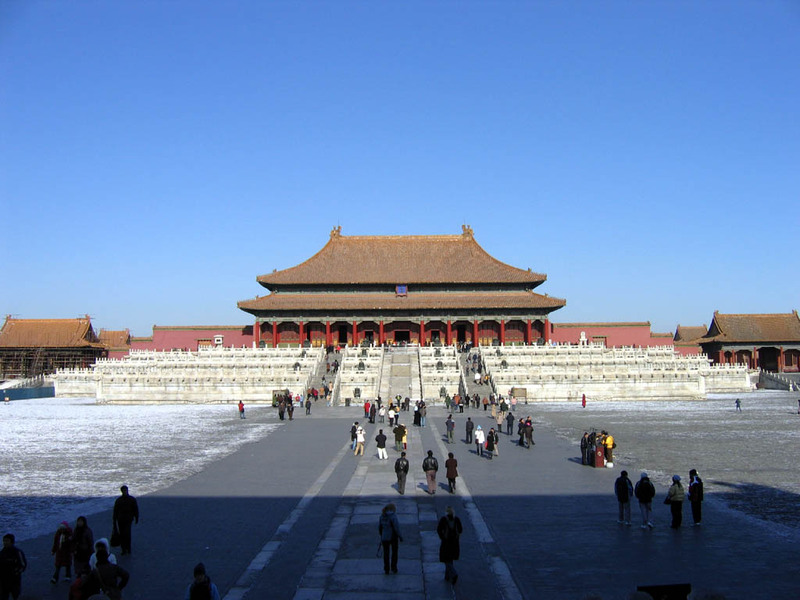 The Forbidden City, situated in the very heart of Beijing, was home to 24 emperors of the Ming and Qing Dynasties. The construction of the grand palace started in the fourth year of Emperor Yongle of the Ming Dynasty (1406), and ended in 1420. In ancient times, the emperor claimed to be the son of Heaven, and therefore Heaven’s supreme power was bestowed upon him. The emperors’ residence on earth was built as a replica of the Purple Palace where God was thought to live in Heaven. Such a divine place was certainly forbidden to ordinary people and that is why the Forbidden City is so named.